Call 828-468-8722 to schedule your first appointment. Miracle-Ear® is America's most recognized brand of hearing aids, and there's a reason why so many customers trust us to provide them with hearing aids in Waynesville, NC. Our hearing aids provide a clear, high-quality listening experience, and with more than 1300 locations nationwide, we're backed by a strong network of hearing care specialists dedicated to giving customers the support they need. Our GENIUS™ Technology has been shown to give our customers a better ability to recognize speech in challenging listening environments when compared to people with normal hearing. Our high-definition digital sound will allow your hearing aids to process sound the way your ears naturally do in cooperation with each other rather than as separate entities. If you have an Android or an Apple smartphone, you can use our GENIUScontrol app* to make adjustments, and some of our hearing aids can connect to Bluetooth® devices. Have You Experienced Changes in Your Hearing Abilities? Do you have trouble understanding people when they're not facing you? Do you have more trouble hearing women and children than men? Do you feel like you have to strain to hear people? There are several measures you can take to improve your ability to hear and fully engage with others around you, and if you're interested in using our hearing aids, our experienced hearing care specialists can help you find the best match for your needs. Discover and experience the Miracle-Ear® advantage. Call or come visit our hearing center in Waynesville, and we'll show you what we have to offer. You can sign up for a 30-day risk-free trial† with one of our hearing aids. Ashley Travers started with Miracle-Ear in November of 2017. She has a vast knowledge of customer service, sales, office management and working in diverse communities. Graduating from University of North Carolina at Charlotte, Ashley earned a bachelor's degree in anthropology with a concentration in biology. She enjoys working at Miracle-Ear and believes it is a privilege to be able to help people communicate with their loved ones, and that every patient should be treated like family. Ashley has one child and loves to spend time exploring the Blue Ridge Mountains and all that Western North Carolina has to offer. She loves sharing her enthusiasm for the outdoors with others and learning about what others have a passion for. 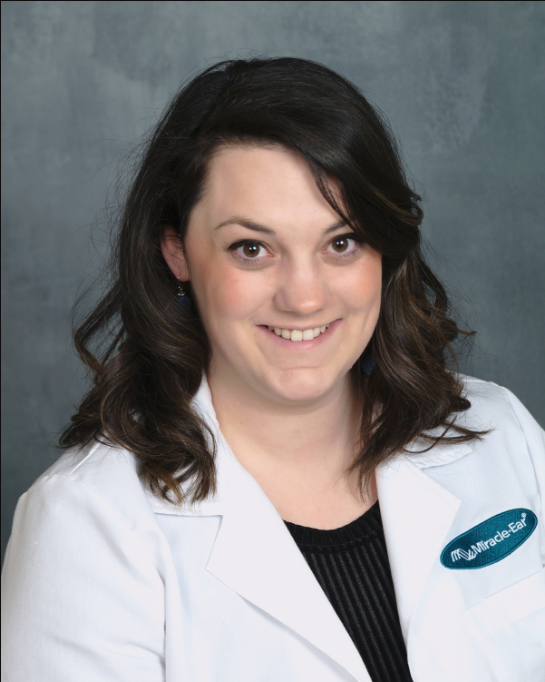 Ashley is excited to meet you at the Miracle-Ear office in Waynesville to help you begin your journey to better hearing.